Nothing you do in life will SUCCEED quite like success. The world recognizes, respects and rewards successful people by triggering a ripple effect of opportunities. The bigger the success…the bigger and faster come the opportunities. If there’s one thing you can do to dramatically impact the trajectory of your life, it’s to make something big happen… achieve an impossible goal…to take on a beast of a challenge and crush it. Allow me to unpack this idea by helping you to understand the power of a transformative goal. Side effects. Delayed effects. After effects. A side effect is usually regarded as an undesirable, uncomfortable secondary effect which occurs when taking a drug or stimulus. A delayed effect is an unexpected, unwelcome reaction occurring hours to days after exposure to a drug or stimulus. An after effect is an unforeseen, unamusing physical, psychological, or emotional effect that continues after the removal of a drug or stimulus. But what about the other kinds of side effects, delayed effects and after effects? What about the positive side effects of success? The desirable, comfortable secondary effects which occur when crushing a goal, winning a contest or achieving a desired outcome. What about the delayed effects of gratification, self-discipline and other acts of self-control? The expected, highly welcomed outcomes which arrive hours, days, weeks, months or even years after their enforcement. What about the after effects of securing a big win, of overcoming a seemingly impossible obstacle through the deployment of persistence, character and an unbreakable will? The foreseen, highly enjoyable physical, psychological, or emotional effects that continue long after the win was secured and which inspire you to take on even bigger challenges. While you may be tempted to chalk up any newfound opportunities as lucky breaks or as the unintended consequences of being successful…the truth is they should be viewed as the intended consequences of success…the domino effect of winning big, the chain reaction or ongoing ripple effect of one big success leading to a self-perpetuating cycle of good luck. Things leads to things and big successful wins leads to a number of intrinsic and extrinsic benefits. For our purposes, we’ll focus on the intrinsic benefits as there is no purer form of success, no more exact and demanding test of what you are capable of, than to take on and achieve a seemingly impossible goal or challenge and find joy in the capacity to meet it. Why? Because, the ultimate reason for stepping up your game and achieving a moon shot is to entice and empower you to become the person it takes to achieve such a transformative goal. As you are about to find out…who you become, as well as the character traits, skill sets and newfound opportunities you create in rising to meet a big challenging goal are the real benefits. They are the things which inspire and allow you to play at the top of your game, and they are profoundly more important than the nature of the goal itself. In effect, the side effects, delayed effects and after effects of achieving a big challenging goal rightfully become the main effects. What follows are the ripple effects, the top nine rewards and primary intrinsic benefits for achieving a big challenging goal. Each of these benefits sends a powerful psychological message which work to transform your mind and future in a meaningful way. In your efforts to achieve your goals, you will always struggle with unexpected, unwanted, and uncontrollable aspects of your environment, but your ability to overcome these seemingly indomitable obstacles reward you with an indomitable spirit as well as recognition, respect, resolve and results. Fear is only an excuse for those unwilling to face their doubts, insecurities, and mental boogie man. Your capacity to confront and overcome any fear or resistance force rewards you with confidence, conviction and a powerful sense of destiny. The most important goal you could hope to accomplish in the course of your life is to become an excellent person in every respect…one who has the courage to pursue their dreams. Becoming courageous is one of those priceless rewards…a gift you give to yourself, and a gift that keeps on giving. When you take on a big challenging goal and shoot for the moon, you will never be the same again. You either cope or crumble. You become better or bitter. You emerge stronger or weaker. It must be this way, as a big challenging goal exists to tests your limits, to push you beyond the breaking point, to separate you from the crowded field of mediocrity. Your reward is finding out how far you can go and learning what you are really made of. A great challenge demands great focus, and by staying the course you give your life the moment it deserves. Focus is best seen as a preemptive strike against mediocrity. The moment you focus on a challenging goal, your goal becomes a magnet that pulls you and your resources toward it. The more focused your energies, the more power you generate, the faster will be your rewards. No mountains can be climbed, no hearts won, no opportunities seized, no books written, and no victories enjoyed without self-confidence. The inspired ability to rise to meet the physical rigors and mental demands of a big challenging goal is directly attributable to your self-confidence. As your challenges build, as you find the strength to face your fears and overcome obstacles…you are rewarded with ever increasing levels of self-confidence. Few things demonstrate that you are ready to become the great man or woman that you are meant to be…than the ability to set and achieve a big challenging goal. By doing so you are demonstrating all the behaviors of a mature, responsible adult…focus, discipline, commitment, perseverance, integrity and follow through. These are powerful intrinsic benefits that will pay off handsomely throughout the remainder of your life. Your greatest asset and primary sense of security and freedom extends from your ability to produce results and that’s what self-reliance is all about. By taking control and responsibility for your own life and delivering on what you set out to do…you are rewarded with a powerful set of execution skills and a mindset that says you can, will and must provide for yourself. Freedom isn’t free. It requires blood, sweat, and tears. But freedom is the ultimate prize…the highest reward for rising to meet the rigorous demands of a big challenging goal. In virtually every case, the decision to rise to meet a big challenging goal boils down to the desire for greater freedom in one’s life. This includes freedom…from the monkey on your back…from self-imposed limitations…from the comfort zone…and freedom from fear. It also includes freedom…to focus on projects you find important…to succeed or fail on your own terms…to follow your passions…as well as the freedom to say no without feeling guilty. To trigger a massive ripple effect…and to enjoy these freedoms, rewards and benefits requires that you rise to the challenges life presents and pay the required price in full, in advance, and without complaint. Achieving a big, challenging goal and triggering a massive ripple effect succeeds in dividing your life neatly into two parts…before the big goal and after. I promise you that after is better — much better as nothing succeeds quite like success. Focus on your moonshot…that big game changing goal and consider all the intended consequences, the positive repercussions…the side effects, delayed effects and the after effects which will take effect in your life as they will most definitely provide you with the extra fuel you need to take on this beast of a goal and crush it. Gary Ryan Blair is creator of the 100 Day Challenge…a radical approach to goal achievement that shows people how to accelerate their results, achieve 10X size goals and transform every area of their life and career — FAST. 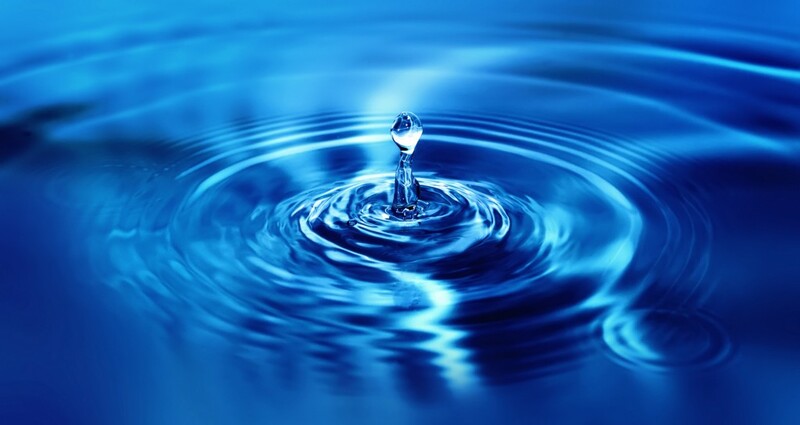 How to Trigger a Massive Ripple Effect was originally published in Marketing And Growth Hacking on Medium, where people are continuing the conversation by highlighting and responding to this story.